2016 was the biggest year for mergers and acquisitions since the Great Recession and 2017 looks to be even bigger. Want to take advantage of the current hot M&A market and sell your business? Based on my 30 years of experience representing owners selling their businesses, here are three key steps that every business owner should take to prepare their business for sale. Your first step is to determine the minimum sales price (MSP) for your business. This number has nothing to do with market comparables, EBITDA multiples or other M&A “mumbo jumbo.” Your MSP is the amount of cash that you must receive for your business, so that you can retire and live off the net sale proceeds for the rest of your life. This is a complex calculation. You should estimate your current and future cash flow needs, inflation, taxes, returns on investments, any legacy you want to leave and other factors. Get a professional to help you with this calculation. Wealth management firms, financial planners and accountants are all equipped to help you figure out your MSP. Once you know your MSP, the next step is to determine the current value of your business. If the current value exceeds your MSP, then you can start the sale process. If the value of your business is below your MSP, then you need to look for ways to raise the value of your business above your MSP. How do you determine the value of your business? One way is to pay a valuation firm for a formal appraisal of your business. However, keep in mind that any appraisal will be based primarily on historical information. Better (and often cheaper) sources of valuation information are investment bankers and business brokers (intermediaries) who are active in your industry and therefore have the best current information about the value of businesses like yours. Another advantage of talking to these intermediaries is that they can give you the valuation metrics (e.g., six times adjusted EBITDA, less debt) that business buyers typically use in your industry for similarly sized businesses. If you are serious about selling your business, you should track these valuation metrics and the estimated value of your business at least monthly. If the current value of your business is less than your MSP, how do you increase the value of your business? Increasing revenues and profits is necessary, but may not be sufficient to raise the value of your business to your MSP. Why? Because buyers will only pay for value that is transferable to them. For example, if substantially all of the revenue in your business is tied to your personal relationships with customers, that value may not be transferable to a buyer. Likewise, if substantially all of your revenue comes from one customer, the risk of losing that customer will reduce the value of your business. What can you do to reduce a potential buyer’s risk and increase the value of your business? Build your management team. A strong management team will help you increase revenues and profits faster, and can help you address value-killers like customer concentration. Having a strong management team also will give potential buyers confidence that the value of the business is not solely dependent on you. Wage and hour – are your employees properly categorized under the Fair Labor Standards Act? Do you have personnel who are paid as independent contractors that should be paid as employees? Sales taxes – are you collecting sales taxes in all of the states where you conduct business? While your business may not have nexus with certain states, any buyer likely will. Environmental – particularly if your business owns any real estate, but can apply to leased properties, too. Intellectual property – does your business have patents, registered trademarks, copyrighted software, and restrictive covenant agreements to protect your value? Litigation – IP litigation and ownership disputes are “show stoppers”; any litigation will reduce the value of your business. Revenue recognition and other accounting errors – these errors typically overstate your profits and your value, and will almost certainly be detected by a buyer in due diligence. You must find and fix these before you put your business up for sale, because these “show stoppers” will kill your deal or dramatically reduce the sale price. Get audited financials. Audited financial statements are required by public company buyers and are strongly preferred by other buyers (and their lenders), because an audit ensures that the revenues, expenses and profits shown on your financial statements are materially correct and are reported properly.What does that mean for you? With audited financials, you will have more buyers interested in your business, which means you will get a higher price and better terms for your business. You should have at least one year of audited financials before you start the sale process. Once you complete these three key steps, you will be well-prepared to sell your business! 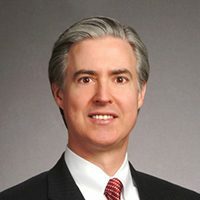 Rhys T. Wilson is Co-Chair of the National Mergers and Acquisitions Practice of Nelson Mullins Riley & Scarborough LLP and a partner in its Atlanta office. He may be reached at (404) 322-6269 or by email at rhys.wilson@nelsonmullins.com.